IFEAT Study Tour 2016 - Ultra International B.V.Ultra International B.V.
Below are some of our reflections on the Study Tour, which we considered the best so far – but every Study Tour seems to be better than the previous one! All the companies that we visited were well prepared and shared a wealth of information. The presentations made by each company were professional and to the point and delegates were impressed not only by the detailed data provided and the excellent presentation skills but also the willingness to show delegates around their processing operations, laboratories and other facilities. Equally impressive was the warmth of the welcome as well as the hospitality showed by each of the companies visited. 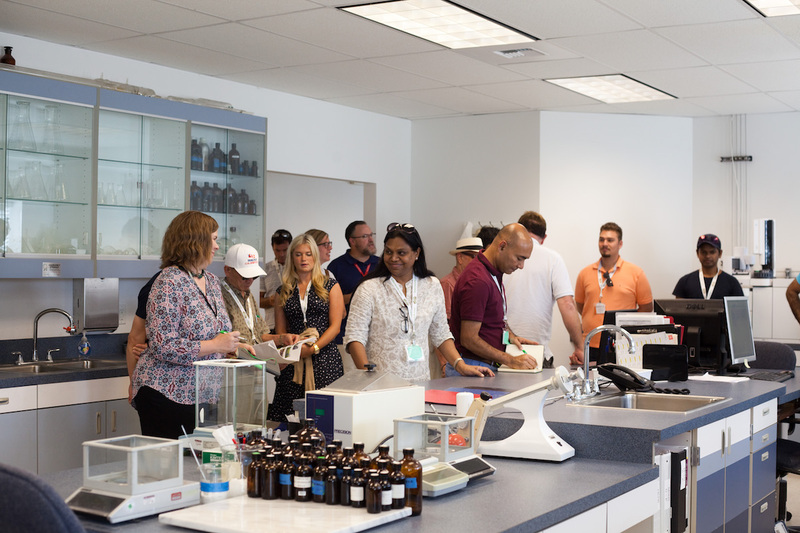 Most of the companies visited were involved in the mint industry and IFEAT members and each of them shared with the group their in-depth knowledge of the US mint industry. It soon became apparent to the delegates how very well organised is the American mint industry. The acreage of farms is huge, particularly in contrast to the Indian mint industry, while the farming practices, irrigation and distillation techniques are highly commendable. 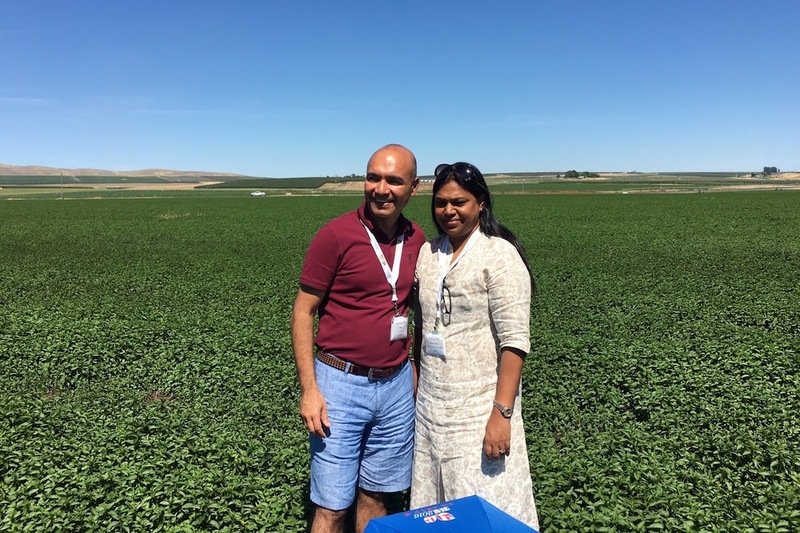 Throughout the visit delegates often compared US mint operations with those of India and recognised that the Indian mint industry, as well as the essential oil industry in many other countries, could learn much from US practices. The opening cocktails, sponsored by Eucaforest Pty. Ltd, and dinner in San Antonio on Saturday evening went off well. Some registered delegates were unable to join the Study Tour due to either US visa issues, health reasons or pressing engagements, while some arrivals were delayed by adverse weather conditions. During the day some delegates toured the town and were impressed by San Antonio’s River Walk and the Alamo. After this visit, the group returned to San Antonio to catch the flight to Seattle, reaching our hotel by about 10 PM. Indeed a feature of the Tour was the hectic schedule, usually involving a new hotel each day and late check-ins and early check-outs. Fortunately we were able to catch up on sleep in the coach! The second day was another great day with the complete professional way the Cochran family and colleagues from Norwest Ingredients showed their complete facilities for mint oil production, explaining with the help of video presentations their, storage and production facilities, fractional distillation equipment etc. Another feature was the immaculate timing kept when taking a tour of the complete facilities. 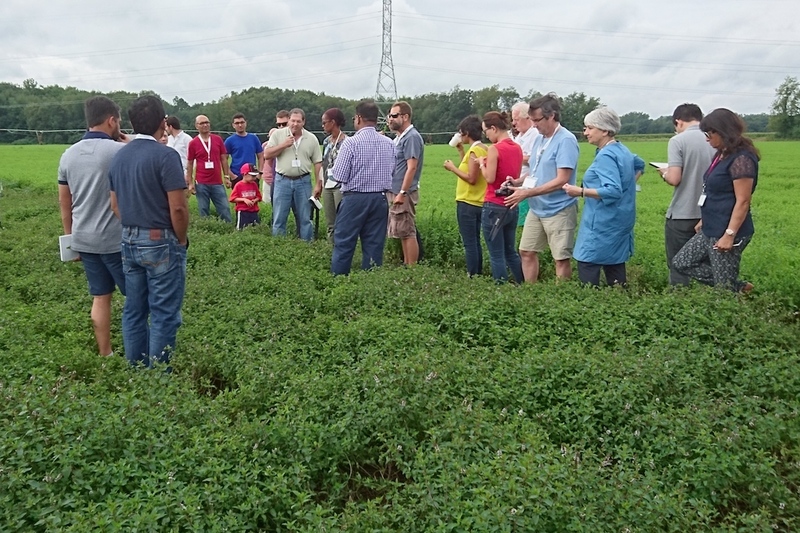 After the tour, the Cochran family farmhouse, surrounded by mint fields, was opened for an excellent lunch and odour session of the different varieties of mint oils from various regions around the world and the specific characteristics of these individual qualities. Having got to sniff so many different qualities was a real education. In our career span over 25 years each, we have never had the opportunity to sniff so many qualities. The session was organised with various members of the management team sitting with each group of delegates explaining and clarifying every question. In addition, the company shared a wealth of information in booklet form. (Photo 6). Over lunch there was an expert from the MIRC (Mint Industry Research Council) explaining its role in assisting stakeholders – farmers, distillers and traders – to overcome the various challenges being faced by the industry, including verticilliam wilt. In the evening Norwest entertained us to dinner at the beautiful Apple Tree Golf Course Resort. Prior to dinner, people relaxed on the green lawns, some doing Tai Chi exercises led by Winnie Yeung and others sipping wine and cocktails. Day Four saw a visit to the Labeemint Inc., again a passionate family company with great values. Following an introductory presentation by the new President the delegates were treated to a detailed tour of the company’s operations. The highlight of the tour was the fractional distillation unit designed by Tyler Labee, who had trained as an aeronautical engineer and had designed and constructed this excellent unit. Fractional distillation gives Labee the ability to process their mint oils with a light top and bottom cut to terpeneless qualities. Other processing equipment includes a short path horizontal distillation unit as well as a state of the art one-metre diameter, continuous wiped film evaporator. Following an excellent lunch in the company grounds we visited Phil Sealock’s Farms where mint was being distilled, We were treated to a guided tour of the distillery operations by John Cheatham, Lebermuth’s Technical Manager, who had spent many years developing and installing such equipment. Following breakfast and check out, delegates travel to White Swan, Washington to visit Green Acre Farms, who are operating one of the industry’s new stills. Spread over 2,000 acres of Indian lands, the farm grows apples, peaches, pears, hops and mint. Again the visit was very well organised and they were very proud of their food safety programmes and having their farm accredited with various certification. Then continued to the Columbia River Gorge and enjoy RCB International’s sponsored lunch at the Hood River Inn. After lunch, we travelled down the scenic Columbia River, during which you will visited the Bonneville Dam, fish ladders, the fish hatchery, climbed the Falls. After lunch on the Callisons campus, we drove to Seattle Airport, for dinner and an evening flight to Chicago. It will be a late arrival at O’Hare Field, followed by a 2-hour coach journey to St. Joseph’s Michigan for a 3AM check-in. After a mid-morning check out we took a short 40-mile drive to Kalamazoo and Kalsec, Inc. impressive campus. There followed a tour of their spice and hop extract facilities and very impressive laboratory and flavour creation facilities. Then followed lunch in the woods on the campus where several company members spoke on various aspects of this family-owned operation. The group continued into Chicago for the night. There was a farewell evening cruise and dance on the Odyssey, with fireworks and breath taking views over the magnificent Chicago Skyline. While it had rained for much of the day, the DJ said that we had chosen one of best night’s of the year to be to seeing Chicago after dark: a fitting end to a fabulous Study Tour. So in summary, the participants from 20 countries, a very lively and friendly group, learnt a lot not only from the excellent company visits but also from our daily interactions and the “bus lectures” given by some of the participants. The visits were truly enlightening and the high level of expertise and professionalism meant that we benefitted immensely from this experience. Many thanks must go the companies visited and their sponsorship of the Tour. Special thanks to Alan Brown the Chair of the Local Organising Committee and to Peter Greenhalgh and IFEAT for this highly educative and memorable Study Tour. Lastly to Deneen Worthen our tour guide – she was superb – she managed all of us quite well and was very caring and helpful.